WE tv has made a new match with Sherri Shepherd. The network recently announced Shepherd will host season two of their reality series Match Made in Heaven. The series follows 18 bachelorettes vying for the love of an eligible bachelor. This year, the bachelor is Stevie Baggs, “an African-American businessman, motivational speaker, and former NFL/CFL football linebacker.” The new season premieres on May 19th at 10 p.m. ET/PT. NEW YORK – April 22, 2015 – WE tv’s hit reality dating competition, “MATCH MADE IN HEAVEN,” is set to return for season two on Thursday, May 19 at 10pmET/PT. With help from new host and executive producer Sherri Shepherd; Stevie Baggs, an African-American businessman, motivational speaker, and former NFL/CFL football linebacker, is in search of “the one” in a group of 18 beautiful bachelorettes. Shepherd, or the “Sherri-godmother”, oversees the house of eligible ladies all vying for Stevie’s attention. However, she is not the only “mother” in the house! Stevie’s opinionated, sassy yet stunning mother moves in and she means business; as the self-proclaimed watchdog of her sons’ heart. Additionally, Ken Johnson, a dynamic pastor and spiritual advisor to the Indianapolis Colts, returns this season to make sure the women are there for all the right reasons and Stevie doesn’t fall for the wrong ones. The ladies will endure a series of dates, romantic rendezvous and harsh eliminations, which will make or break their way to Stevie’s heart. A number of temptation challenges will be put forth for the bevy of beauties, designed to bring out anyone’s true colors; and while some of the ladies seem sweet and innocent, others are downright devilish leading to plenty of drama and bad behavior. In the first episode, we’re introduced to the ladies who will be competing for one of the world’s most eligible bachelors. As the ladies settle in and become acquainted there is one major twist…Stevie’s overprotective mom reveals she has been undercover watching everything the girls have said and done since they entered the house! Who will Stevie pick? Tune in Thursday, May 19 at 10pm ET/PT. What do you think? Have you seen Match Made in Heaven? 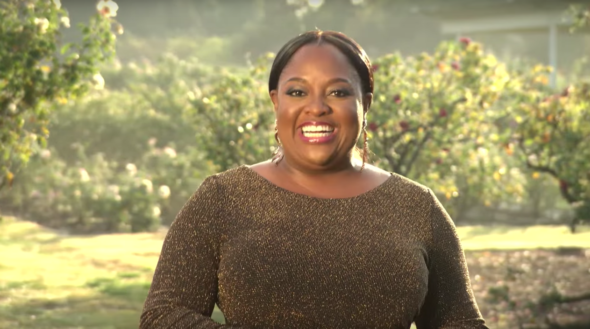 Are you a fan of Sherri Shepherd? Will you watch the new season? More about: Match Made in Heaven, Match Made in Heaven: canceled or renewed?, WE tv TV shows: canceled or renewed?